As part of the celebration for the 250th anniversary of the Fort Pitt Block House, the Fort Pitt Society of the Daughters of the American Revolution has released for the first time a complete history of Pittsburgh’s oldest architectural landmark. 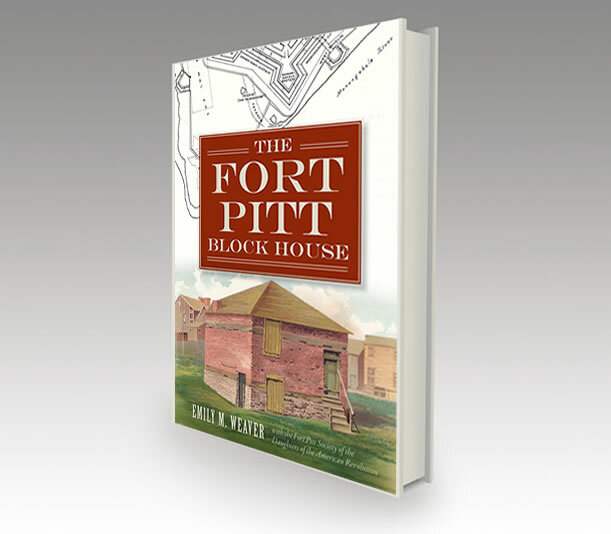 Written by site curator Emily M. Weaver, the book is entitled The Fort Pitt Block House, and it is published by The History Press, Inc., of Charleston, South Carolina. For more information on the book, events etc. click here. This is a preview of some of the pages. If you would like to purchase your own copy you may do so here. 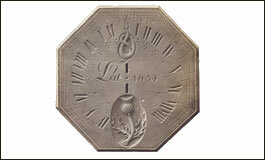 An 18th century stone sundial was found on the Block House property during its 1894 restoration. The sundial commemorates the Battle of Bushy Run of August 1763 in which both the 60th Royal American Regiment and 42nd Black Watch Regiment fought against Native American Indians in an effort to relieve the siege on Fort Pitt.